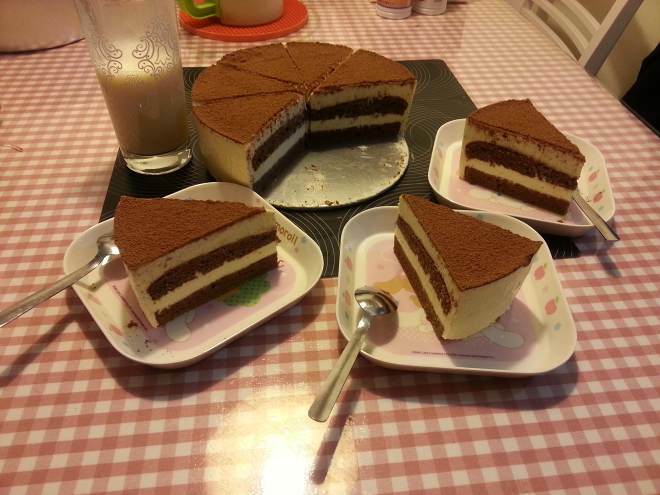 This is the very easy way to make tiramisu cake, I will break it down into 13 easy steps. 1. Separate three eggs into egg white and yolks, gradually add sugar (50G) while beating the egg white. When beaten, egg whites increase as much as 6 to 8 times in volume. 2. On the separate bowl, gradually add sugar (30G) while beating egg yolks until the colour of the egg yolks become lighter and the texture becomes thicker. Then gradually add corn oil and mix them well. 3. 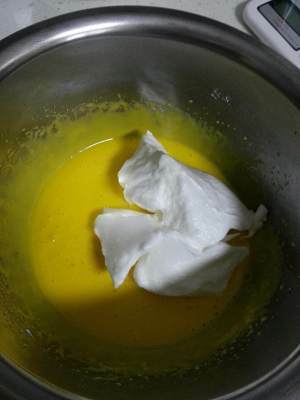 Take part of the egg white mixture and fold-in with egg yolk mixture together. 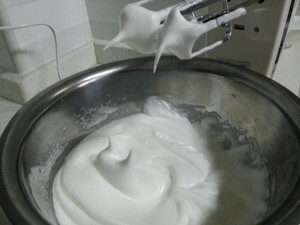 Then continue adding egg white mixture and the fold-in process. 4. 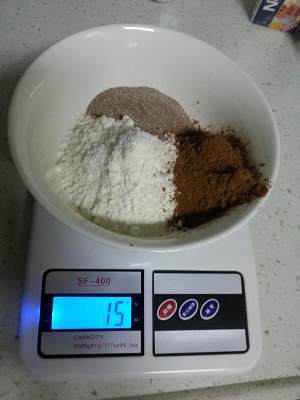 Sift the flour, cocoa powder and tiramisu powder. 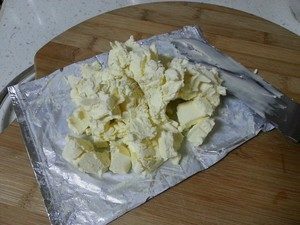 Continue adding to the batter and fold-in them together. 5. 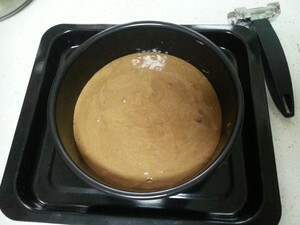 Pour the batter into a 8 inch mold. Bake in the preheated 320 degrees F (160 degrees C) oven for about 25 minutes. 6. 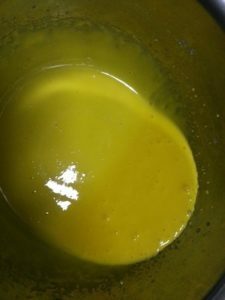 Beat another 2 egg yolks until it turns lighter (color) and thicker (texture). 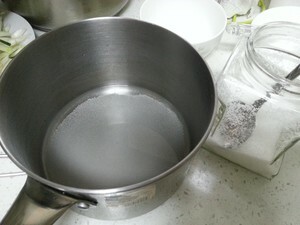 7.Mix 75G of sugar and 75ml of water, boil it. 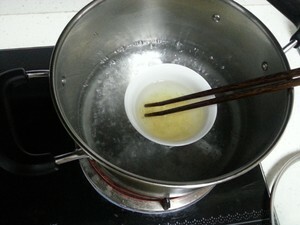 Pour the beaten egg yolks into the boiled sugar water, keep stirring until the water is cooling down. 8. Cut the gelatin sheets into smaller pieces, soak them into a bowl of water until the gelatin sheets soften. Then steam it until melted. 9. 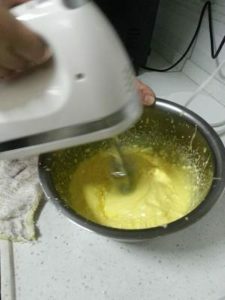 Put cream cheese and gelatin sheet solution into the mixer and mix well, pour the egg yolk sugar water (refer to Step 7) and continue mix together. 10. Put the whipping cream and the mixture (refer to Step 9), mix them well. 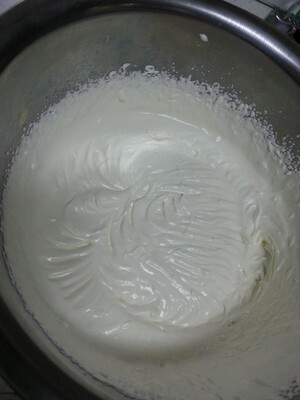 This is going to be the cake mousse. 11. 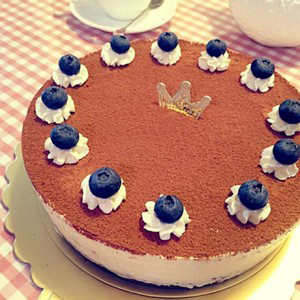 Cut the cake into 2 layers, put one layer into the mold, then put one layer of mousse on the top of it. 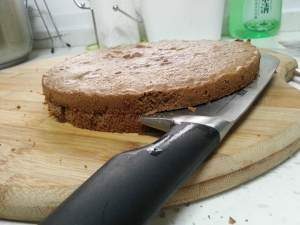 Try to sandwich with cake layer and mousse layer. Then put in fridge for at least 5 hours. 12. 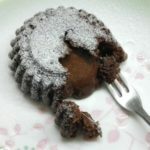 Sprinkle the cocoa powder on the top of the cake.